Amanda studied printmaking at the London College of Communication in 2001, then became a member of East London Printmakers as well as the North One artists group. She has been involved in a number of group and solo shows since then. 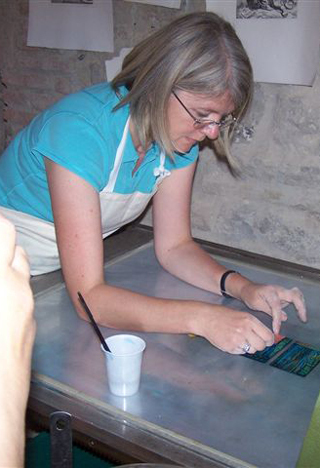 Amanda has taught collagraph printmaking annually at the ELP for the last 5 years as well as courses in Europe. Amanda works mainly with collographs, lino and intaglio techniques but is now working with other, more experimental mediums. Her Hampshire roots have inspired her to create impressions of landscape, plant life and abstract forms.